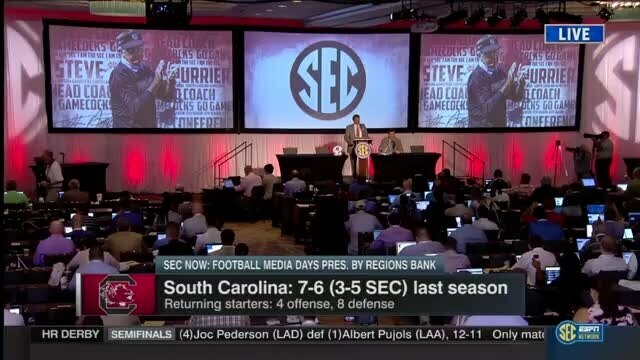 South Carolina's Steve Spurrier took to the podium during SEC Media Days and the Head Ball Coach did not disappoint. 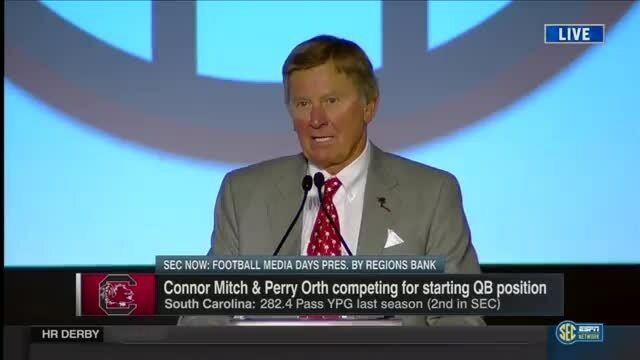 This is Spurrier's 11th season as the Head Ball Coach in Columbia. Some people are wondering how many more Media Days he has left in him. 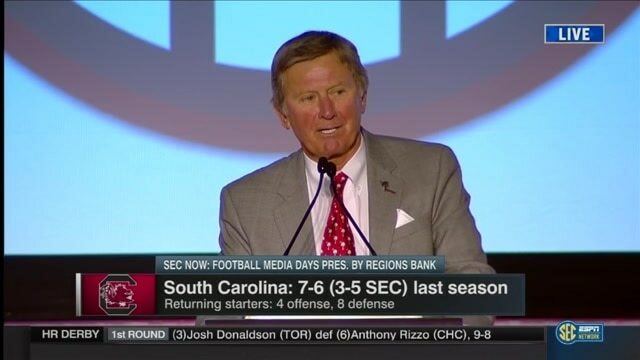 Spurrier: “We were 7-6. Same as Tennessee, same as Arkansas. I think they’re sorta celebratin’ big seasons last year."